Before packing your travel bags for your skiing holiday, you should think carefully and make a list of things you can’t absolutely do without high in the mountains. In this article, we’d like to share a checklist of things you will need on a ski holiday, including what equipment and clothes you will definitely need to hit the slopes. Taking the following items with you, you will feel comfortable, warm and safe in the snow. A good ski helmet is the most important part of your skiing and snowboarding gear. Specifically designed and constructed for winter sports, ski helmet protects your head from severe injuries and cuts. If this is your first ski holiday, you may not want to buy your own helmet. Not a problem anymore! Most ski resorts offer ski clothing rental services, as well as ski shops where you can buy anything you need for skiing. A good helmet may cost you around €50, but if you can afford to spend more – do it, spend a little more to protect yourself! Besides its protective function, helmet gives you some additional warm. If it is recommended to spend as much as you can when buying a helmet, ski pants and jacket are pieces of ski outfit you can really save on. Especially, coming to the mountains for the first time and having no idea of what skiing is about, it is suggested to pick these items from a discount store, supermarket chain or to borrow from a friend provided it fits you perfectly. Ski pants and ski jackets should start at about €50 and €60 respectively. If you plan your holiday in advance, you should remember that the summer can be a good time to pick up ski clothing cheaply, so you can get a nice two-piece ski outfit at sale price. You may also like: Check-list of Must-have Things for Everyone Going on the Slopes! The purpose of a base layer is to keep you dry, warm and protected under a variety of conditions. Usually, the most effective layering looks as follows: base layer (long underwear), insulating tops and pants, outerwear. Of course, it is better to have thermals and base layers that are specifically designed for skiing, but as a first-timer, you can use a simple hoodie and polo-necks. “The better you see, the better you ski. It’s that simple”. (Marc Peruzzi) And this is soooo right! Gloves and goggles are the elements that deserve some special attention and a bit more money to spend on, especially, if you are going to take your first steps on skis. Buy a leading brand pair of goggles and a high-quality pair of gloves to ensure you will perfectly see where you are going on the slopes and keep your hands warm and comfortable. Cold feet can ruin the most perfect day of skiing. To prevent cold feet all you need is… a right pair of socks. 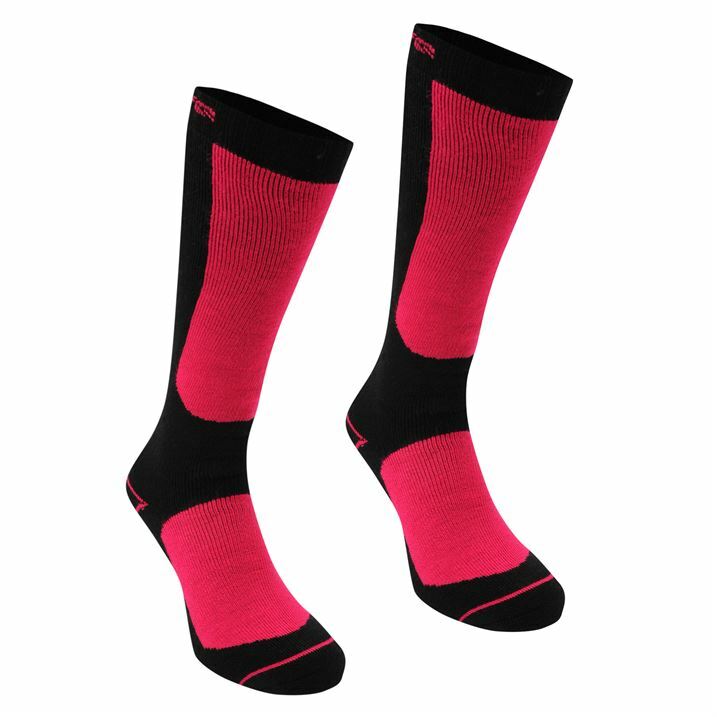 Thin socks designed especially for skiing and made from a blend of wool, nylon and elastic will keep your foot dry and warm throughout the entire day on the slopes. Don’t be afraid of taking all this stuff with you, if you have it. You will feel more confident and comfortable wearing your own ski clothing and skiing on your own skis or snowboard. We, as transfer service provider, are always ready to get your ski gear and luggage to your final destination without additional cost. So, now you’ve got everything ready. It’s time to book your ski transfer!